Newfoundland health officials are having trouble finding medical specialists for Labrador's air ambulance service, the province's health minister said. The province moved the service's base to Happy Valley-Goose Bay last year from St. Anthony, and nurses and paramedics were supposed to be hired to fly with sick patients, but minister Jerome Kennedy said most of the applicants that have since applied for jobs did not have the right qualifications. "We were hoping that we will get that team in place but there has been some difficulty with recruiting both as a result of geography and the professional requirements," the minister said. Kennedy said the government plans to offer a signing bonus to entice qualified people to relocate. Meanwhile, if a medical team is needed on the air ambulance they have to fly in from St. John's, but Kennedy noted that this has not happened yet. 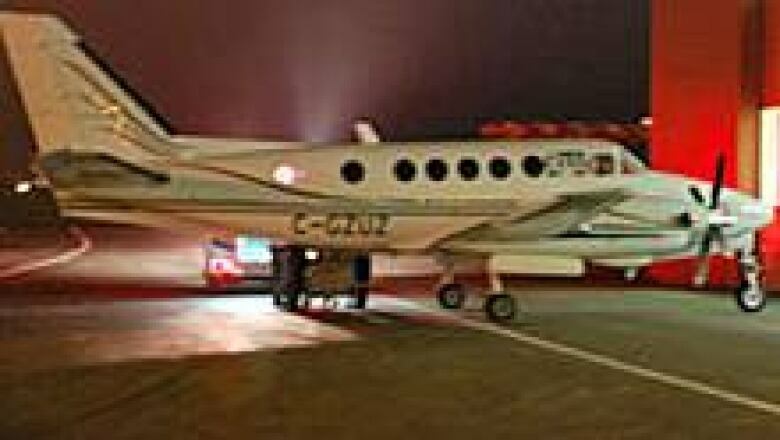 One of the province's two air ambulances was moved to Happy Valley-Goose Bay in May 2010 after Kennedy said there was a greater need to have the service based in central Labrador. But this has been a source of concern for local residents. The mayor of St. Anthony is raising questions about whether three incidents involving the air ambulance service in Labrador were thoroughly investigated. In one case, a 56-year-old man died in Labrador City after an industrial accident in March — before the shift was made. In another, a premature baby died 90 minutes before the ambulance arrived. The mayor filed an access to information request asking for reports into the cases, however, he said the reply from health officials suggest the incidents were not investigated.